I See the Rhythm of Gospel - Audiobook | Listen Instantly! “We free now, baby,” mama whispers as we bounce and sway with the wagon’s twists and turns over roads of clay through the land that oppressed us to a new world, a brand new day. 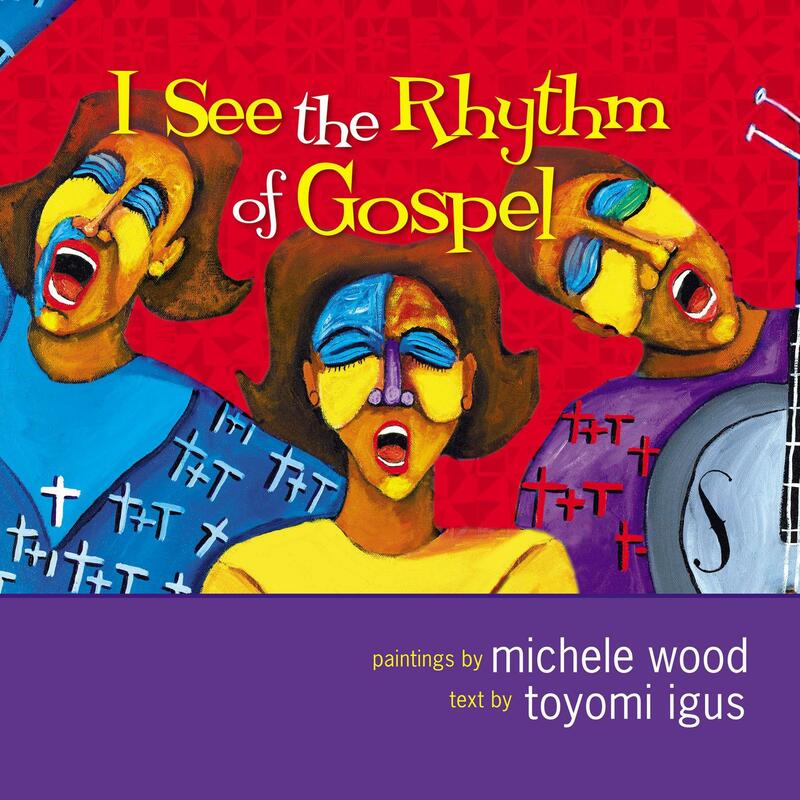 The dynamic author/illustrator team of Toyomi Igus and Michele Wood has come together again to produce I See the Rhythm of Gospel, a sequel to the Coretta Scott King Award-winning I See the Rhythm. Readers of all ages will be captivated by this informative and inspirational blend of poetry, art, and music that relates the history of gospel music as reflected through the journey of African Americans from their arrival as slaves in America to the election of our first black president, Barack Obama. Download and start listening now!
" Creative blend of poetry, art, facts and music that comes with a bonus CD. When I could tear my eyes away from the vivid illustrations, I found the timeline chronicling the journey of African Americans from slavery to the election of Barack Obama, very informative. "